Virtual Reality Headset, App Support: NIBIRU customized 2D/3D app, Google play, YouTube, Third party app etc. The media player supports videos of MP4, MKV, AVI, MOV, RMVB and other common video formats. Please choose "Software" to switch decoding when you play a MKV video. VR All-in-one 3D glasses: no phones needed, you just connect the VR to WiFi, and then you can enjoy your own VIP 3D movies. This 3D virtual reality glasses headset designed with environmental material, make sure you have healthy and environmentally friendly experiences. 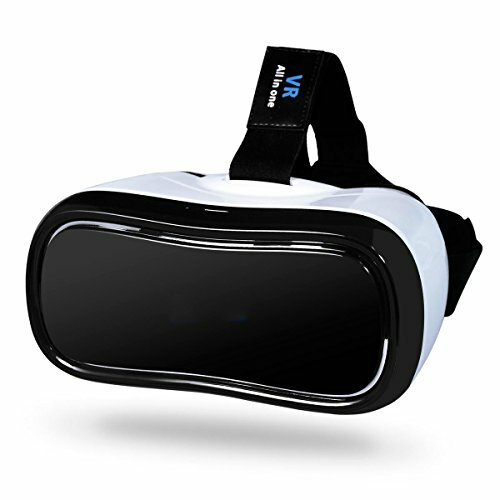 Comfortable headband, super face foam protector, ideal heat dissipating design Ventilation holes are convenient for inserting earphone and charging, let you enjoy your VR world whenever and wherever. The T-shaped straps on the VR headset make it adjustable for different people. This VR headset supports to install a TF card and you can download as much videos as you like with your TF card. Also, please be sure that the TF card is genuine and in good condition. Or the videos cannot play.